"I try to create wines that suit our climate and our way of life - wines to drink with the food we grow, make and eat in Australia." 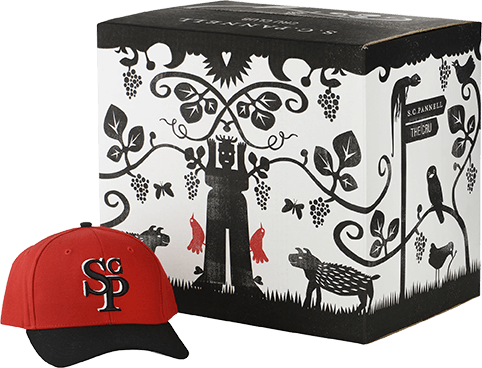 The S.C.Pannell winery was realised to focus on Stephen’s passion for the McLaren Vale region and its ability to produce dry - grown and environmentally sustainable Shiraz and Grenache. In 2014 a new home was established at 60 Olivers Rd McLaren Vale. Steve's holistic philosophy to winemaking starts with our climate, empahasises the importance on the vineyard, as well as wine's relation to food we love to grow, cook, and eat. Buy the Welcome Case, and you're in! Plus six more amazing wines. 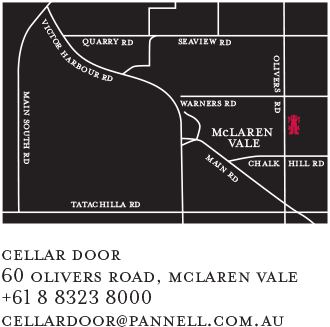 Visit the S.C.Pannell Cellar Door and enjoy a relaxed tasting of our wines with our friendly and knowledgeable staff. We are open 7 days, 11am-5pm and most public holidays. We have an ever changing selection of wines available for tasting. We offer two tasting options, both fully redeemable with a bottle purchase! 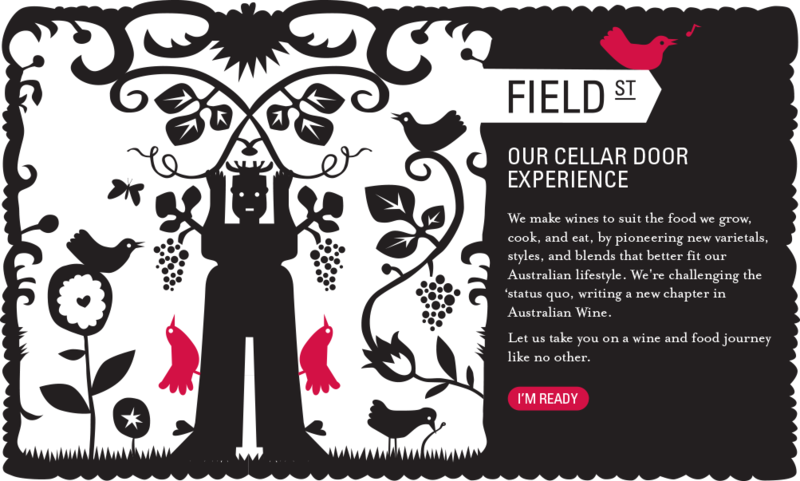 Cellar Door Tasting - $5 per person. A casual guided tasting to let you experience and explore the many varieties and styles of S.C.Pannell wines. Premium Tastings - $15 per person. 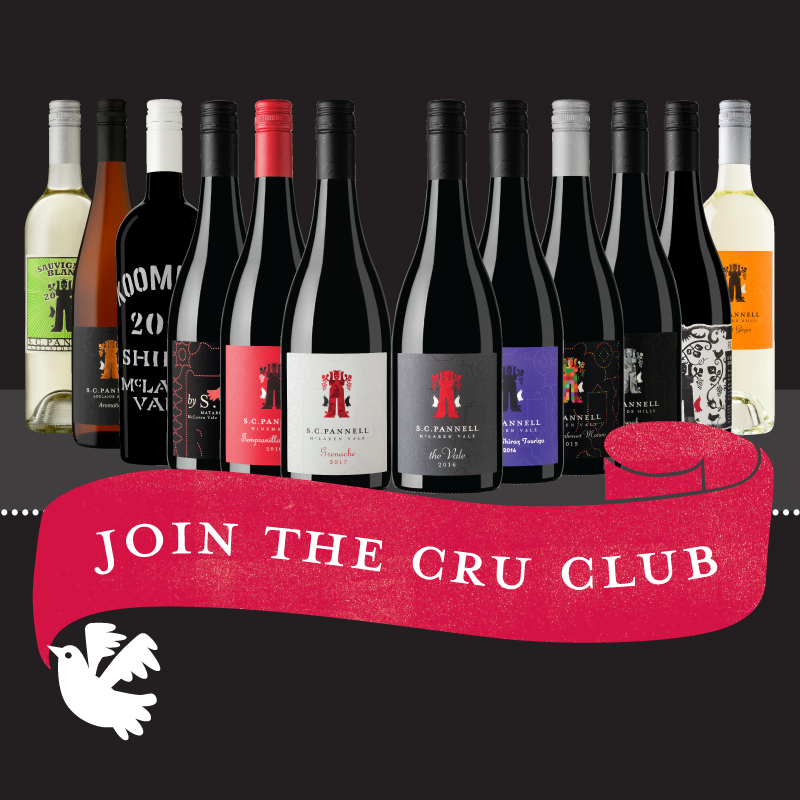 A more premium tasting hosted in our Cellar Door, comprising of more select, limited release and exclusive wines. We accept groups of up to 12 people at 11am or 11:30am. This must be booked and paid for prior to your arrival. A tasting fee of $10 per person is required. The tasting fee is fully redeemable upon purchase of bottle of wine per person. Our Chef's Hayley and Cameron create dishes designed to share from locally sourced produce and food from our kitchen garden. Pull up a chair on the deck and enjoy a selection of dishes! Kitchen open Thursday through to Sunday from 12-4pm. Walk-ins welcome, however bookings preferred on (08) 8323 8000. Check out our Instagram @scpannell and Facebook for more. Join our mailing list, and we'll keep you updated with special promotions, events, and other cool S.C.P happenings. Steve Pannell has been crowned the 2016 Bushing King – the McLaren Vale Wine Show’s top honour – for the second year in a row. In many ways, Stephen Pannell’s journey to the 2015 Winemaker of the Year Award reflects the journey of Australian wine over the past 50 years.